Maintaining good indoor air quality is crucial to your family's comfort and health. If you're concerned about pollutants in your home—or even just fed up with persistent odors—maybe it's time to clear the air. The air in your home may not be as fresh as you think it is. If you’re not careful, indoor air can harbor not only benign entities, such as mustiness or a foul odor, but also bona fide pollutants that can exacerbate allergies and negatively impact your health over the long term. The U.S. Environmental Protection Agency (EPA) cites a long list of contaminants that are commonly found in households around the country. These include, among other things, smoke (from tobacco or cooking), dust, mold and mildew, and emissions from combustion sources (oil, gas, kerosene, coal, and wood), not to mention pollution from building materials and furnishings—paint, insulation, carpeting, and pressed wood among them. To protect yourself and your family from the legitimate threats to health posed by any of these indoor pollutants, the EPA recommends two courses of action: Prioritize good ventilation, and eliminate pollutants through the use of an air cleaner (also known as an air purifier). These appliances are designed to do one thing only, and that is to directly remove toxins from circulation. • Electrostatic attraction: Air flows through an ionized sector within the filter. Here, particles are imbued with an electrical charge. The charged particles accumulate on a series of flat plates in an oppositely charged collector. The particles are neutralized, leaving clean air to flow out from the appliance. 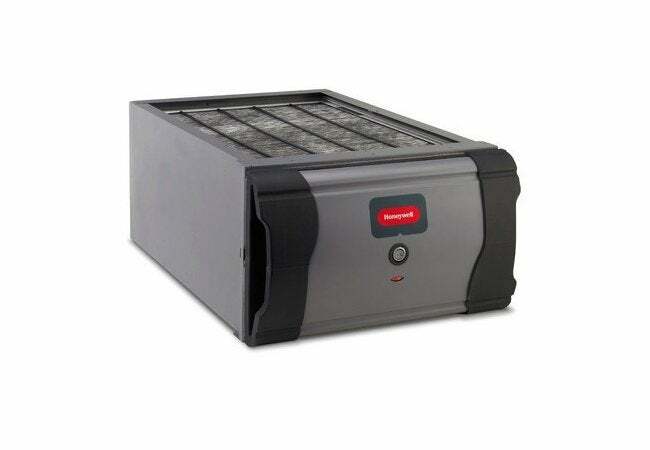 • Ion generation: These air cleaners work similarly to electrostatic devices. Ionizers disperse charged ions into the air, which attach to airborne particles, giving them a charge so that they attach to nearby surfaces (for example, walls and furniture). These charged particles are then cleaned up in the course of everyday housekeeping. 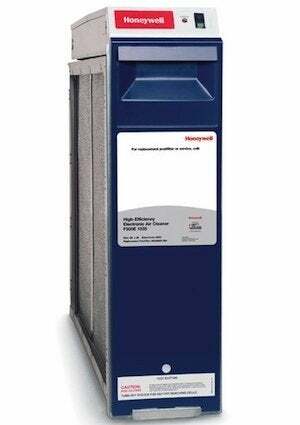 • HEPA filtration: When combined with a forced-air furnace or air handler, a HEPA filter-based purifier passes air through a series of filters, each of which plays a role in capturing impurities. There are also HEPA systems that run independently of the HVAC system. These can be mounted in an attic, crawl space, or closet. In addition to removing contaminants that can exacerbate allergies and asthma, air cleaners can help reduce or eliminate unwanted odors from the home, without the use of artificial fragrances, perfumed candles, or other products that simply mask odors rather than eliminate them. Using an air cleaner instead of a commercial fragrance product to get rid of smells reduces the amount of chemicals in the indoor environment and can help create a healthier and fresher home.